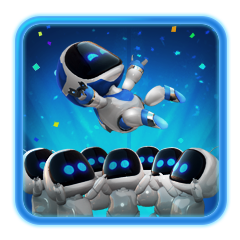 Welcome to the Astro Bot: Rescue mission trophy guide! You will need to complete all the 5 worlds of the game. Make sure you find all the collectibles while doing so. After you completed the game, it’s time to complete the challenge belt. 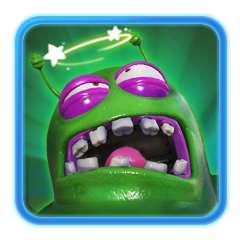 After completing stage 1 and stage 2, it’s possible that some trophies remain unearned. 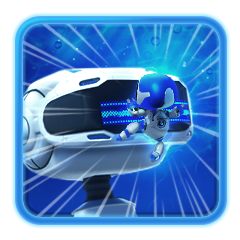 You will get those trophies in this stage via level select. 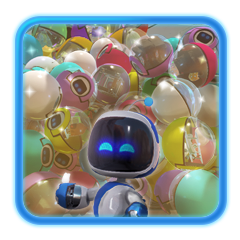 You collected all ASTRO BOT Rescue Mission™ trophies. You rock! Now, time to get out and see the real world! You will need to collect all other trophies within the game to earn the platinum. This trophy will be awarded to you once level 1 of world 1 is completed. 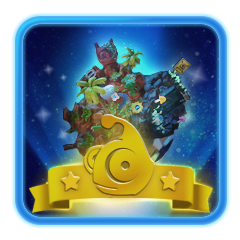 This trophy will be earned when you complete level 5 of world 1. It will be your first boss fight against a Gorilla-boss. During this boss fight you will need to pull the teeth of the gorilla. After pulling all 6 of his teeth, the boss will be defeated. You will need to pull 6 teeth. First you will want to hit his teeth a few times with square . After 3 – 4 hits, his teeth will break down. Now pull it with the rope gadget. Aim and swipe forward with the touchpad. The more teeth you pull, the harder the fight will get. Each time the Gorilla hits the battlefield, a few shock waves will appear. Make sure to jump and dodge those with X. In between waves little minions will spawn, simply kill those by holding X. They can also be killed by a shock wave coming from the Gorilla. For a visual guide on the boss fights, click here. The Octopus is the second boss-fight you will face in the game. This typical water-like creature is actuality a lava monster. You will visit a volcano-like setting and will be tasked in defeating this awful monster. The main target of this boss is to hit the octopus 3 times in his eyes. Tentacles – During the fight it will use it tentacles in an effort to kill you. You will need to run towards a spot where he won’t hit you with those tentacles. It’s best to watch the underground, as the spots where he won’t hit will be marked with a lighter colour. Simply stand in this spot and wait for the tentacles to go away. 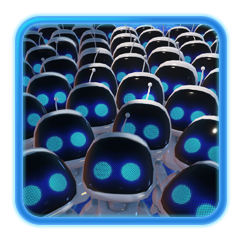 Minions – After surviving the tentacles it will spawn minions. The fire creeps can be killed with the water gadget you have been equipped with. Simply aim your controller at the fire creeps and press the touchpad. The normal-like creeps can be killed by hitting them with square. Giant Fireball – It will now shoot a giant fireball towards your face. Not the bot face… Your face! It will come directly towards your VR glasses. Make sure you hit the Fireball with the water gadget with the touchpad to cool it down. After the fireball falls down, hit it with square to deal damage towards the octopus. Repeat these steps three times to defeat the octopus. Please keep in mind that the second and third “phase” will be harder than the first one. You will get 2 lives, so you can get hit up to 2 times. 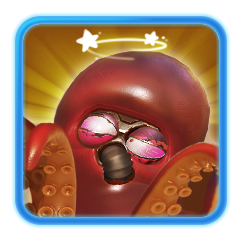 For a complete video, click here.The Octopus boss-fights starts around 02:39. The Bird will be the third boss fight you will face. By this time the levels will be getting a little tougher. 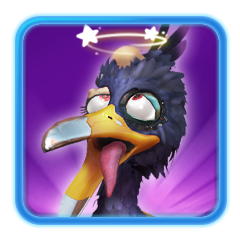 This fight consists of three phases, thus you will need to hit the bird three times. The bird will use wind attacks and throw little birds at you. Dodge those while jumping. Holding X to “float” can come in handy. The bird will mark the spot where he will hit you. Make sure the birds hit the spot that is marked on the platform. This spot is a weak spot and makes sure that you can deal damage towards the bird. Now that the bird is stuck, you can use the rope gadget to lock it down and hit it with square. For a complete video, click here. The Octopus boss-fights starts around 06:40. You’ll likely have a fun time with this fight. You’ll need to kill a lovely lady-spider who is looking for a boyfriend. During this fight you’ll need to use the shuriken gadget. The Shuriken can be thrown by swiping the touchpad and aiming by looking at the target with your VR goggles. You will need to hit the web which is marked yellow. This can be done with the shuriken gadget. After you hit all the webs the spider will fall down, hit it with square a few times. Now it will rope up and spawn some eggs. Those eggs can be hit with . Eggs left unscathed will transform into little spiders. These can also be killed by pressing square . Repeat the three steps above and you will beat the spider. Please make note that you can get an additional trophy during this boss fight. 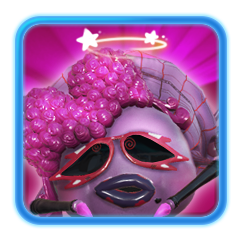 At the end of the fight, look away while you strip the spider naked and the Gentleman trophy will be yours. For a complete video, click here. The Octopus boss-fights starts around 10:17. The final normal boss-fight will be with a giant shark. The main thing in this fight is to dodge the octopuses that will be coming at you. The first wave of octopus can be survived by dodging them with X and floating into the air by holding X . You can also dodge them by simply swimming. Make sure you swim in one direction, as this will make it a lot easier. Simply swim towards the LEFT or RIGHT, don’t do both! A platform will appear, kill the creeps and grab the TNT. Throw it towards the shark, which will be swimming towards you. A second wave of octopuses will come towards you. This time it will be a horizontal line of octopuses. To dodge them, make sure you are at the top of the wave coming towards you, so you have enough height. Then press and hold X to jump over them. Again a platform will appear. Kill the single creep on the platform next to the TNT. Grab the TNT and throw it towards the shark. Make sure you don’t waste any time as the shark will be swimming towards you. Just like step 3, a wave of horizontal octopuses will spawn. However these will jump into the air. Simply wait for them to jump and return in the water. Make for a quick jump when they return in the water and you will be fine. After you do that, there will spawn a second wave, very different than the first few waves you encountered. This one will be above your head, so you will have to look up. Dodge the octopuses by staying around the center and floating with X . You will now have to throw gas-bottles into the sharks mouth. A total of 6 are required. When you do that, you will get a gun gadget. Before you can kill the shark, you will need to fend of octopuses coming towards your ship. Shoot them down with the gun-gadget. You can take around 4 hits before your ship will drown. After you fend them off, hit the shark and you will kill it. This is the final boss. It appears in a black hole in the map after you’ve defeated all 5 bosses. This boss is the hardest of them all, making it quite a challenge to kill it. 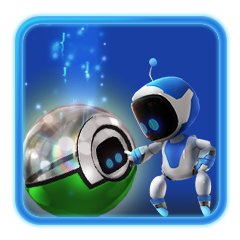 The water gadget – Dodge it by holding X . 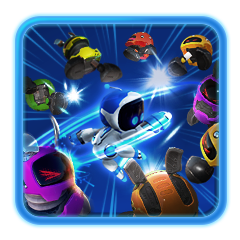 The Shuriken gadget – Dodge it by running in one direction. The rockets – Run away from the exploding marks. After surviving the first wave, the alien will get its boxing gloves. You can stop those by shooting water at it. At the end of this phase, it will try to hit you from above. Simply shoot water at it to stop this. At the end of the second fight it will have a sword made of creeps. You can shoot the sword down by using the shuriken. At the end of this phase, it will throw the sword at you, dodge it by shooting it down with the shuriken. In the last phase it will throw objects at you, shoot it down with the gun. The very last phase requires you to shoot a light laser at the alien, make sure to do so by holding the touchpad and releasing it when fully charged! Found all Bots in world 1. 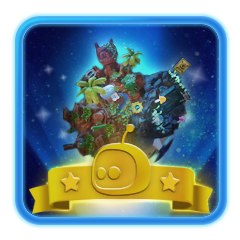 This trophy will be awarded when you rescue all bots from World 1. For a complete guide on this, see Gold Robot Rescue. Found all Bots in world 2. 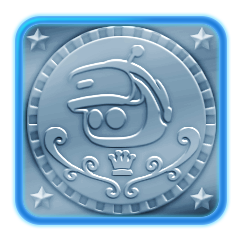 This trophy will be awarded when you rescue all bots from World 2. For a complete guide on this, see Gold Robot Rescue. Found all Bots in world 3. 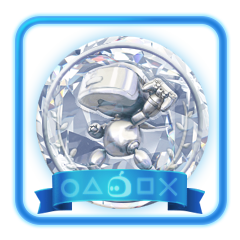 This trophy will be awarded when you rescue all bots from World 3. For a complete guide on this, see Gold Robot Rescue. Found all Bots in world 4. 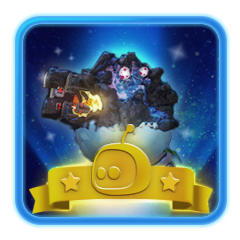 This trophy will be awarded when you rescue all bots from World 4. For a complete guide on this, see Gold Robot Rescue. Found all Bots in world 5. 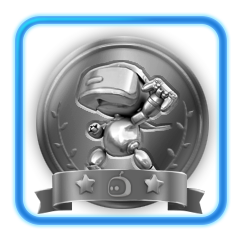 This trophy will be awarded when you rescue all bots from World 5. For a complete guide on this, see Gold Robot Rescue. Found all Bots in all worlds. 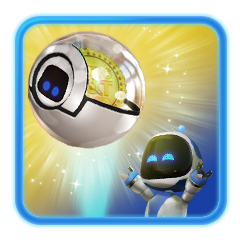 To gather all the robots, you will need to find them all in the worlds and the challenge belt. For a visual guide for the worlds, take a look at the video here. If you are having trouble with a specific level, it’s recommended to look at gameplay of other people mastering it. Found all 4 chameleons in world 1. This trophy will be awarded when you find all chameleons from World 1. Make sure to look in all directions when playing the game. They may be behind, above, or beneath you! For a complete guide on this, see Robot Rescue. Found all 4 chameleons in world 2. 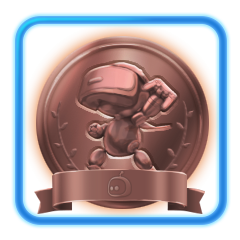 This trophy will be awarded when you find all chameleons from World 2. Make sure to look in all directions when playing the game. They may be behind, above, or beneath you! For a complete guide on this, see Robot Rescue. Found all 4 chameleons in world 3. This trophy will be awarded when you find all chameleons from World 3. Make sure to look in all directions when playing the game. They may be behind, above, or beneath you! For a complete guide on this, see Robot Rescue. Found all 4 chameleons in world 4. This trophy will be awarded when you find all chameleons from World 4. Make sure to look in all directions when playing the game. They may be behind, above, or beneath you! For a complete guide on this, see Robot Rescue. Found all 4 chameleons in world 5. This trophy will be awarded when you find all chameleons from World 5. Make sure to look in all directions when playing the game. They may be behind, above, or beneath you! For a complete guide on this, see Robot Rescue. Cleared your first Challenge fully (obtaining 2 Bots). 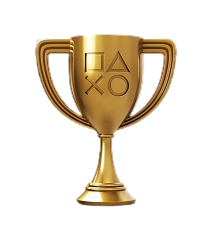 After clearing your first challenge completely, this trophy will be yours. When you find chameleons, they will unlock a level on the challenge belt. For more information on challenges, take a look at Greatness Truly! Cleared 10 Challenges fully (obtaining 2 Bots). 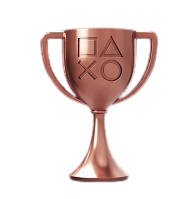 In order to obtain this trophy, you’ll need to clear 10 challenges completely. When you find chameleons, they will unlock a level on the challenge belt. For more information on challenges, take a look at Silver Greatness Truly! You’ll earn this trophy for completely clearing 20 challenges. When you find chameleons, they will unlock a level on the challenge belt. For more information on challenges, take a look at Silver Greatness Truly! Cleared all Challenges fully (obtaining 2 Bots). 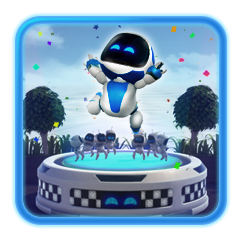 This trophy is earned for completing all challenges completely. When you find chameleons, they will unlock a level on the challenge belt. The challenge belt levels are awesome to play. Some will be hard to get, some will be easy. It is best to complete a level before going for the gold robot. Getting to know the level can really help you to improve your overall time. If you are having trouble with a specific level, it’s recommended to look at gameplay of other people mastering it. 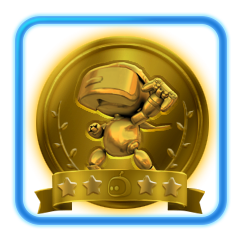 This trophy can only be earned when you find all the chameleons in the game, so it will come after you beat all the end-bosses and completed the game. Each belt level will earn you 2 bots, so completing all the 26 levels will earn you 52 bots. Rescued all crew in levels and challenges. 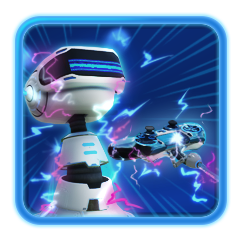 This trophy will be awarded when you complete the challenge belt ( Greatness Truly) and rescue all the bots in the worlds (Robot Rescue). Got your first toy in the Astro Ship. After you beat the first boss on World 1, Level 5, the Astro Ship will become available. Simply press the square button on the left and make the machine appear. Make sure to put your skills to a good use and aim for the colored balls, instead of the explosive ones. Got half the toys in the Astro Ship. You will need to gather the half of the toys in the Astro Ship to obtain this trophy. This will be possible as soon as you reach World 4. The more you progress, the more toys will become available for your collection. Got all the toys in the Astro Ship. 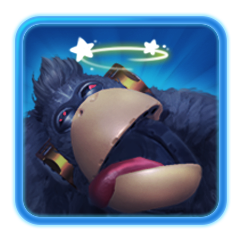 This trophy will be obtainable after you beat the game. Make sure you have enough coins to be able to get all of the toys. Replaying the credits and shooting the golden letters will earn you lots of coins if you are missing some. The colored boxes in the Astro Ship will show how many toys you will need to collect. The Red box (Lava themed levels) will require you to gather 16 toys. The silver box (Air levels) will require you to gather 21 toys. The Yellow box (City levels) will require you to gather 16 toys. The dark-blue box (Alien fight) will require you to gather 1 toy. This will become available after you defeat the alien. The purple box (Cave levels) will require you to gather 16 toys. The Light-blue box (Sea/beach levels) will require you to gather 21 toys. The last, green box (Forest, Nature levels) will require you to gather 16 toys. Finished off the Spider Boss while looking away. During the boss fight in world 3, level 5 you will face an evil and mighty spider. This spider, who is a lovely female, should not be confused with Spider-Man. When you’ve almost defeated the spider, you will need to shoot her clothes off. While doing so, make sure to look behind you and you will get this trophy. 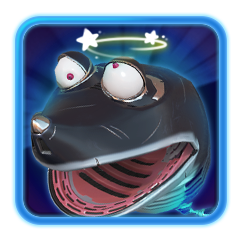 If you miss this trophy during your first try, you can always access the boss fights on the challenge belt! Blasted the President’s name in the credits. When the credits are almost over you will see the title “PRESIDENT” with the name “SHUHEI YOSHIDA”. Just simply shoot at his name and the trophy will unlock. In case you miss the president’s name you can select the final level again and the credits will play again. You won’t need to kill the final boss again (The Boss levels are only re-playable in the challenge belt). The final level is the alien boss fight and is found in the black-hole. Scored a goal on the beach. This trophy will be possible to obtain in level 2 of world 2. The level is called “Beachside boogie”. 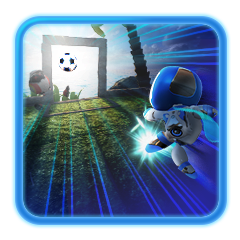 At the end of the level, you will find 2 goals and a few balls. Simply shoot the ball through one of the goals and this trophy will be yours! You can shoot the ball by pressing square. Splashed yourself with the water gadget. 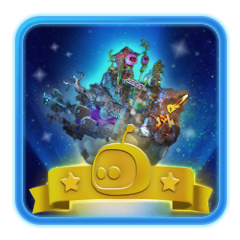 This trophy is possible to get in level 1 of world 2. The level is called “green fingers”. You will need to acquire the water gadget and splash your face with it. Make sure to splash your own face, by aiming at your VR goggles. 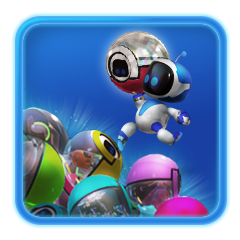 Splashing the Astro Bot will not count! Get Astro stuck to your face underwater. 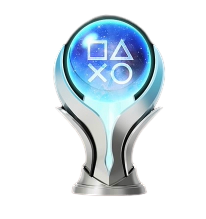 This trophy can be earned in the Astro ship. When entered, hit the light-blue chest with square. A water-like theme will appear. To the right of you will be an aquarium. 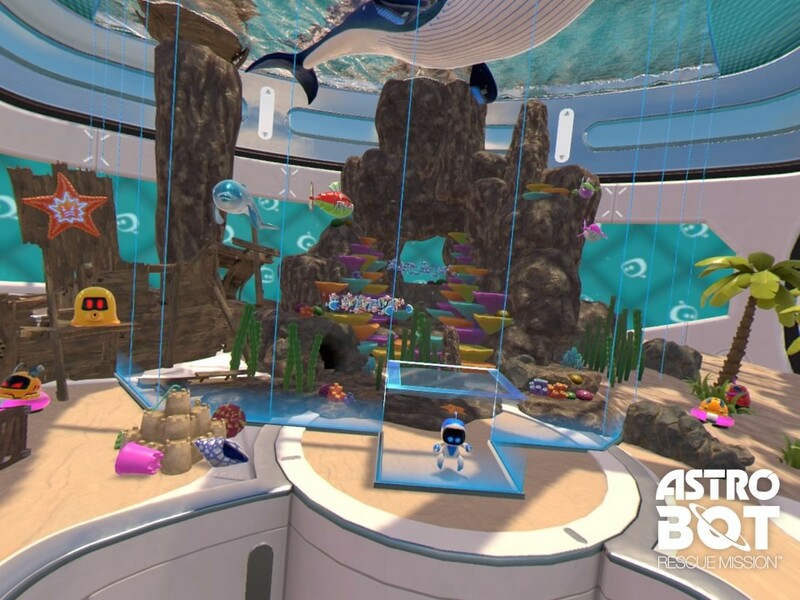 Place the Astro Bot inside of the aquarium, and move your head towards him! Defeated 8 enemies with a single spin attack. 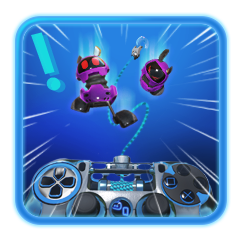 For this trophy you will need to defeat 8 enemies with a single spin attack To do a spin attack, hold square and release. This trophy is obtainable in multiple levels, one of them is level 3 in world 4. It’s called “Fluffy Feathers”. When you see 8 or more enemies, just hold sqaure and spin them all to their well-deserved faith in a single spin. 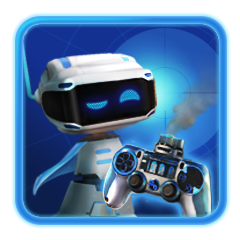 Hit Astro with the controller in the VR Menu. 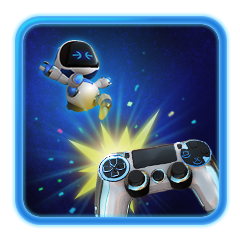 When in the VR menu (Level select) hit the Astro Bot with the controller to earn this trophy. Get shocked while splashing water. 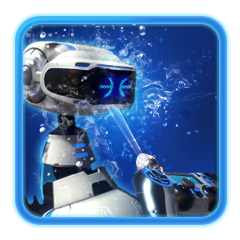 For this trophy you will need to have the water gadget and you will have to hit an Electra enemy. This can be done on the challenge belt in level 6, “Devil Douser”. Defeated an enemy by retracting the rope under it. 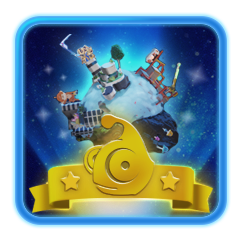 This trophy can be acquired on World 1, Level 4 – Cliffhanger. First, get a rope gadget. When walking the rope you will come to notice that there will be enemies that spawn onto it. Just swipe the touchpad back and the rope will retract, netting you this trophy. Found a forgotten prize inside the crane machine. When using the crane, there will be a chance that it will drop a ball with a coin in it. Make sure to grab it. 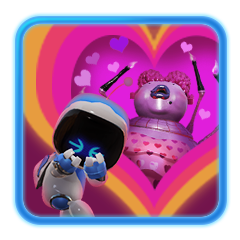 This trophy will come naturally when you are getting all the toys for the Crane Maniac trophy.